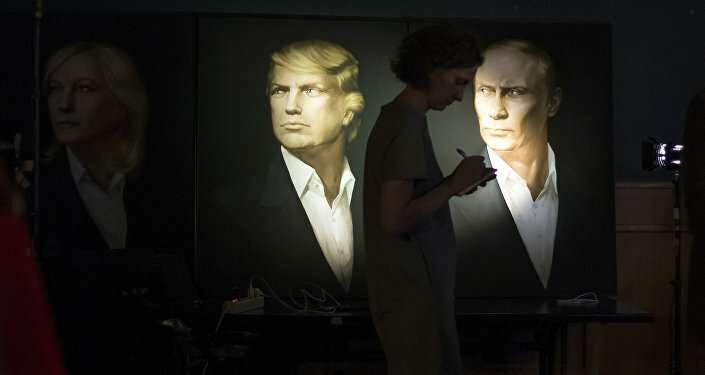 The highly anticipated telephone call between Presidents Vladimir Putin and Donald Trump will take place on Saturday at 8 pm Moscow time (12 pm in Washington, DC). Sputnik presents what we know so far about the topics likely to be discussed by the two leaders during the historic telephone call. 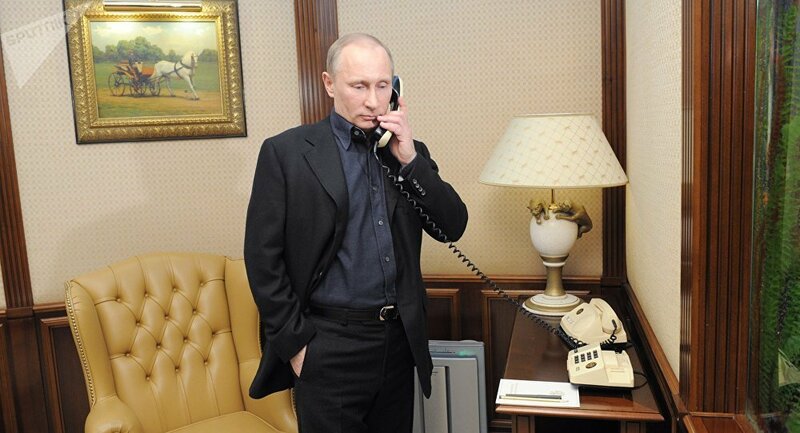 On Saturday, Kremlin spokesman Dmitri Peskov confirmed that President Putin will be the sole participant from the Russian side in his telephone conversation with Donald Trump. Earlier, the White House reported that Vice President Mike Pence would be sitting in on President Trump's conversation with the Russian leader, and would join the discussion. As far as the conversation's subject matter is concerned, all that is known for sure is that Putin will formally congratulate Trump on assuming office as the 45th president of the United States. Otherwise, Peskov and the Kremlin have been tight-lipped about the subjects to be discussed. "Of course, usually during such contacts there is an exchange of views on the main parameters of the current state of bilateral relations," the spokesman said Friday. The White House has also been rather hush-hush about the talks, but has dropped hints about at least one possible topic of discussion. On Thursday, President Trump told Fox News that Putin called him after his election victory to offer his congratulations, but that the two men didn't have a substantive discussion. More than anything, Trump said that he would like it if Moscow and Washington could fight Daesh (ISIS/ISIL) together. "I don't know Putin, but if we can get along with Russia, that's a great thing," Trump said. "It's good for Russia, it's good for us; we go out together and knock the hell out of ISIS, because that's a real sickness," he added. On the campaign trail, Trump said repeatedly that the US would be better off cooperating with Russia in the global struggle against radical Islamic terrorism, and complained that President Obama's White House 'didn't even know' who the anti-Assad rebels the US was funding actually were, alluding that they may be affiliated with terrorists. This week, the Russian Ministry of Defense reported that Russian aircraft in Syria had conducted airstrikes based on US intelligence. The Pentagon quickly denied the reports, something Russian observers suggested was a bashful attempt to try to smooth the continued transition from Obama-era policy. Accordingly, given President Trump's strong feelings on the subject, it seems very likely that anti-Daesh cooperation will be a linchpin in Saturday's telephone conversation. However, based on Washington's reaction to reports of Russian-US intelligence cooperation earlier this week, the results of the talks may remain a secret, at least for now. Is Detente Possible for Moscow and Washington or Are They 'Destined to Be Rivals'? Also on the table is the subject of US sanctions against Russia, introduced by the Obama administration in 2014 over the crisis in Ukraine. On Friday, Trump said that it's "very early to be talking about [lifting the sanctions]." Still, the President added that he also hopes to follow through with his campaign promise to foster improved relations with Moscow. However, earlier on Friday, White House aide Kellyanne Conway let slip to Fox News that sanctions relief would be "under consideration" in Saturday's call. "All of that is under consideration," Conway said, after being asked whether the fate of sanctions slapped on Moscow by the Obama administration would be on the agenda for the talks. The sanctions issue has split President Trump from his own party. Senior US lawmakers, including Republican House Speaker Paul Ryan and Republican Senate Majority Leader Mitch McConnell, have insisted that sanctions against Russia must stay in place. Other lawmakers, including Republican Senator John McCain and Democratic Senator Chuck Schumer, are even considering a bill to try to limit Trump's ability to lift the sanctions without Congressional approval. According to Russian observers, other topics of discussion may include nuclear weapons and missile defense. Speaking to RBTH, Sergei Karaganov, honorary chairman of the Russian Council on Foreign and Defense Policy, said that it was critically important that Moscow and Washington find a solution "based not on the reduction or increase of nuclear arsenals, but on the preservation of the global status quo." Earlier this month, prior to his inauguration, Trump indicated that Washington may tie the lifting of sanctions against Moscow to a major nuclear arms reduction treaty between the two powers. Russian officials responded by saying that Moscow would not be willing to make sacrifices in the field of security for sanctions relief, but added that dialogue was important in resolving any outstanding security issues between the two countries. Finally, another important topic that may find its way on the agenda of Saturday's talks is European security, and specifically the ongoing crisis in Ukraine and Russian-NATO tensions in Eastern Europe. In recent years, NATO has upped its deployment of troops and heavy equipment on Russia's doorstep, culminating earlier this month in the deployment of a brigade of US troops in Poland, days before the end of Obama's tenure. According to Karaganov, while one telephone conversation between the presidents certainly wouldn't be enough to end the tensions, it could be the first positive step to doing so. The most optimistic scenario, Karaganov said, would be "freez[ing] the situation on a bilateral basis, including in Ukraine," along with an agreement on "contacts between NATO's military and Russia with the aim of freeing ourselves from this completely useless, artificial confrontation." Ultimately, whatever subjects are broached and whatever agreements may be reached, the most important outcome of the talks will probably be the formal establishment of normal working contacts between Presidents Putin and Trump. From here, the two leaders can go on to discuss, and try to find agreement on, the many important bilateral and global issues that will accompany them over at least the next four years. Is Detente Possible for Moscow, Washington or Are They 'Destined to Be Rivals'?